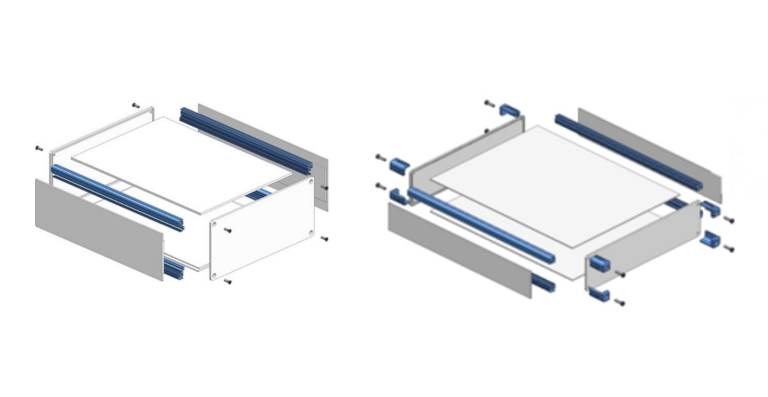 PrioLine - a flexible and individually implementable enclosure concept - Due to the modular design of aluminum profiles and aluminum plates they can be combined almost unlimited. Below you can see the different drawings. Choose between the standard version or the KSK version, which unlike the standard, has design caps on the enclosures corners. Convince yourself - PrioLine makes the difference! By clicking on the pictures you will receive a PDF.